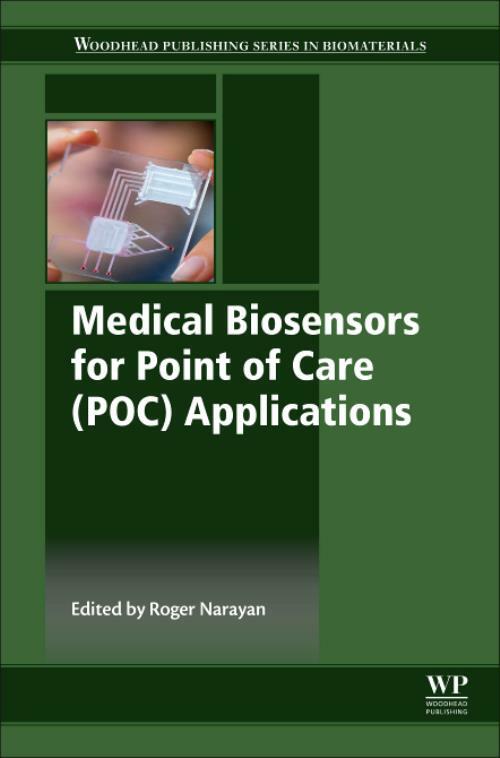 Medical Biosensors for Point of Care (POC) Applications discusses advances in this important and emerging field which has the potential to transform patient diagnosis and care. Part 1 covers the fundamentals of medical biosensors for point-of-care applications. Chapters in part 2 go on to look at materials and fabrication of medical biosensors while the next part looks at different technologies and operational techniques. The final set of chapters provide an overview of the current applications of this technology. Traditionally medical diagnostics have been dependent on sophisticated technologies which only trained professionals were able to operate. Recent research has focused on creating point-of-care diagnostic tools. These biosensors are miniaturised, portable, and are designed to be used at the point-of-care by untrained individuals, providing real-time and remote health monitoring. Roger J. Narayan is a professor at the Joint Department of Biomedical Engineering, North Caroline State University, USA. He has authored numerous publications on micro- and nanoscale processing of biological and biomedical materials, and is Editor-in-Chief of Materials Science and Engineering: C.